Jon Dasilva remix – an intelligent tech house intrepretation of Johan Afterglows I Am U is out on Itunes. 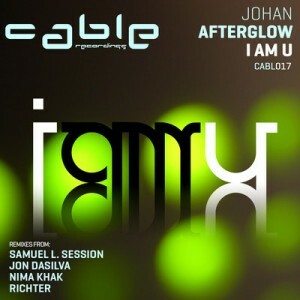 I am U is the 17th release on San Fransisco based Cable Recordings. Except for Dasilva interpretation the EP features remixes by Samuel L Session, Nima Khak and Ricter. This entry was posted in Featured, News and tagged cable recordingscalbe, johan afterglow, jon dasilva. Bookmark the permalink.